In this post I'll briefly introduce some update tricks for training of your ML model. Then, I will present my empirical findings with a linked NOTEBOOK that uses 2 layer Neural Network on CIFAR dataset. 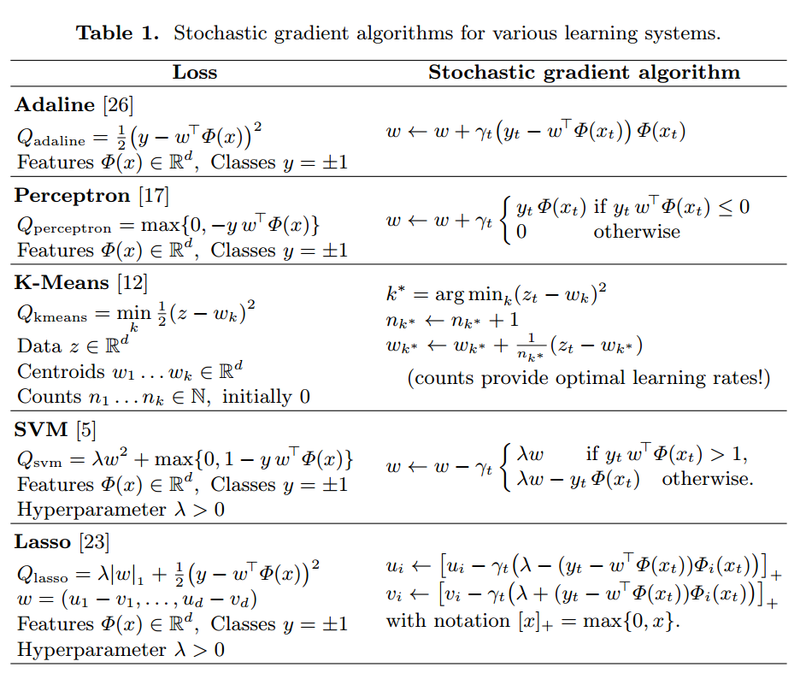 I assume at least you know what is Stochastic Gradient Descent (SGD). If you don't, you can follow this tutorial . Beside, I'll consider some improvements of SGD rule that result better performance and faster convergence. is the model parameter, is learning rate and is the gradient at the time . SGD as itself is solely depending on the given instance (or the batch of instances) of the present iteration. Therefore, it tends to have unstable update steps per iteration and corollary convergence takes more time or even your model is akin to stuck into a poor local minima. is the momentum coefficient and 0.9 is a value to start. is the derivative of wrt. the loss. is a smoothing value for numerical convention. You can also combine Momentum and RMSprop by applying successively and aggregating their update values. So tihe upper formula states that, for each feature dimension, learning rate is divided by the all the squared root gradient history. Now you completed my intro to the applied ideas in this NOTEBOOK and you can see the practical results of these applied ideas on CIFAR dataset. Of course this into does not mean complete by itself. If you need more refer to other resources. I really suggest the Coursera NN course by G. Hinton for RMSprop idea and this notes for AdaGrad. For more information you can look this great lecture slide from Toronto Group. Lately, I found this great visualization of optimization methods. I really suggest you to take a look at it.